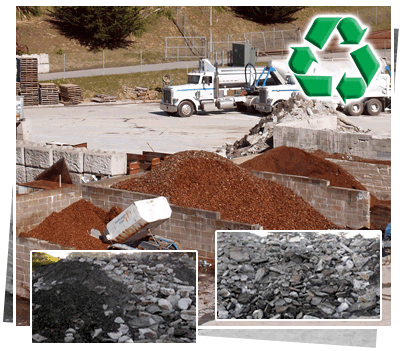 Base rock (crushed concrete/asphalt): Recycled and crushed from old construction material and recycled into a road base. Great for nurseries, under garage or driveway slabs, horse paddocks, dirt roads, etc. The three photos below (left) show what we do with old concrete…we recylce it! It’s progressively crushed into smaller and smaller pieces until its perfectly suited for fill dirt and other uses. It stays out of the landfill and is put back to work!